In an interview with CMO, the department store’s chief marketing officer, David Robinson, said the loyalty scheme will be based on an extensive amount of customer and market research undertaken both with David Jones, as well as the four brands sitting under the Country Road group: Country Road, Witchery, Trenery and Mimco. “We have done a significant amount of qualitative research, as well as two round of quantitative research, and have landed on a value proposition and agreed on that for David Jones,” Robinson said. The program will be based around delivering value to customers across the group and within all categories and brands, and is about fostering a one-to-one relationship. This is expected to tap into data work done around a customer’s demographic and behavioural information, as well as David Jones’ increasingly content-led marketing investments. 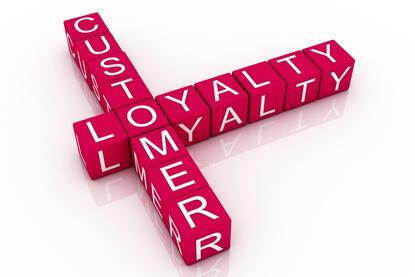 Launching a loyalty program is one of three streams of work being undertaken by David Jones to get to know its customers better. The activities are being spearheaded by Robinson, who took up the CMO post two years ago after leading the retailer’s omni-channel strategy. The first foundation step was to understand who David Jones customers are, Robinson said. Historically, the retailer had viewed customers as a single segment – a David Jones customer. “We understood 6 per cent of our customers, or 20 per cent of sales, which is our AMEX/David Jones cardholder customers, very, very well. But we didn’t necessarily understand the other percent of our customer base,” he said. To achieve this, David Jones has delved into internal data sources, conducted qualitative research with nearly 3000 customers, and called on market insights from data consultancy, Quantium, to build of clear customer segments to address, Robinson said. “This gave us a very granular view of where we dominate, where we have opportunity, and where we don’t want to play,” he said.